As a classroom teacher for decades, I've seen many different "programs" to help teach students how to spell words with accuracy. Basically - accurate spellers are usually wired for it....it's a talent. 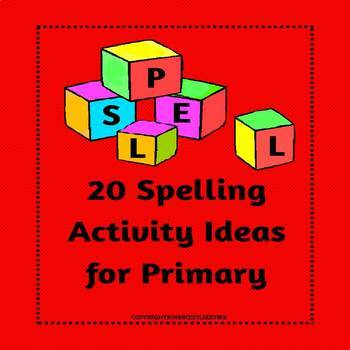 There are activities to make learning how to spell words a little more fun. I've collected a few for you to add to your Weekly Words list with my Weekly Homework assignments per K-3 grade levels.